Book reviews and author interviews from IndexCreditCards.com's Adam Jusko. Are you an author or publisher of a book in the business, financial, or life skills area and want to be reviewed? 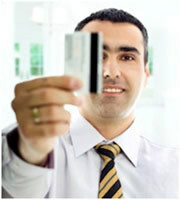 E-mail mac@indexcreditcards.com for information on where to send materials. We can not guarantee a review of every book sent, but will try our best!